Pictured above: Palm trees in downtown Mesa, AZ; #110 in popularity at Topretirements (photo courtesy of Wikipedia). Thanks to all of our members who posted comments to last week&apos;s articles (see links at right). There was some great insight and humor - thanks! 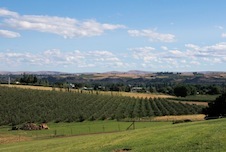 Our feature article this week came about because of 2 beliefs. First, everyone&apos;s taste is a little different. And, second, the best way to find your ideal place to retire is to look at all the relevant possibilities. Some fantastic places to retire didn&apos;t quite make the top 100 list we published earlier this year - so here are numbers 101-125. 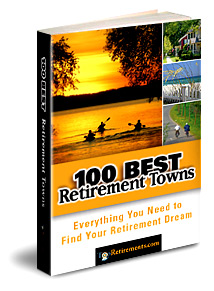 Click on a state to see reviews of 580 towns plus a list of 1,087 active adult communities. 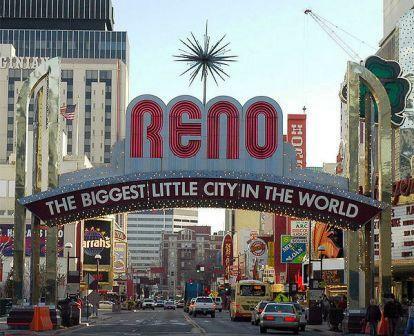 Reno used to be synonomous with quickie divorces and non-stop gambling. These days though, this city on the edge of the Sierra Nevada is better known as a retirement destination for folks who like living near a city, but still having the outdoors - mountains, rivers, and lakes - at their doorstep. Have You Been Dreaming About Building A Green Home for Retirement? Cynthia Booth has contributed a wonderful article for Topretirements members on how to build your green home. You&apos;ll get the details on one new, award-winning home, plus some very helpful tips on what to consider when retrofitting to a green home. Interesting stuff. Sign up and get a digest email with links to every new story, community, or review from the day before. Don&apos;t miss out on anything, try it! It&apos;s totally free and you can cancel anytime. 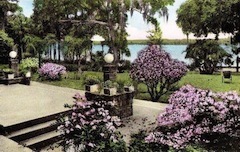 Folks who dismiss Florida as all new and tacky haven&apos;t been to Winter Park. This beautiful city near Orlando has long been the place to live. It has more parks than any city in Florida, great architecture, Rollins College, and one of the top juried street art shows in the country. U.S. Presidents are among its rich and famous visitors. It has its flaws, but its strengths are stronger. Create you free listing at Add Your Community! If you already have a listing, update it now to take advantage of our new features.